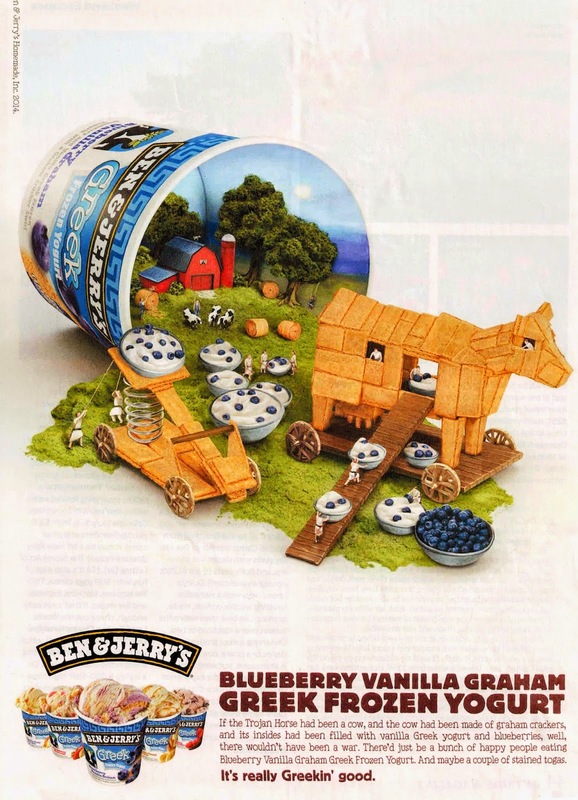 Weighty Matters: Ben & Jerry's Greek Yogurt? Ugh. Just Eat the Damn Ice Cream! Ben & Jerry's Greek Yogurt? Ugh. Just Eat the Damn Ice Cream! Sure, Ben & Jerry's Blueberry Vanilla Graham Greek Frozen Yogurt has only 10.5 teaspoons of sugar per cup as compared to the 11.5 teaspoons per cup of their fully leaded Cherry Garcia, and yes that same cup of Greek has only 420 calories rather than Cherry Garcia's 480, but really, are those differences worth passing up the real deal? I'd honestly be surprised to learn that there were folks out there who truly preferred the taste of Ben & Jerry's Greek Frozen Yogurt to Ben & Jerry's actual ice-creams and so here's betting that most of those who buy the Greek stuff are doing so thinking that they're coming out way ahead nutritionally. They're not. Dessert is dessert and food isn't just fuel. So despite what this ignorant CMAJ blog post might posit, everyone, not just those with "healthy" weights, is entitled to use food at times for comfort and at times for celebration, and so if you've decided Ben & Jerry's is worth it, just eat the damn ice cream (but the smallest amount of it you need to be happy).